PRESIDENT Emmerson Mnangagwa made two surprise visits to the Reserve Bank of Zimbabwe on Tuesday, which generated a lot of anxiety among staff and the public after he spent a combined four hours at the apex bank before and after his State of the Nation Address as authorities grapple with a crippling shortage of bank notes. The liquidity crisis has decimated most of the southern African nation's industry. Zimbabwe is also failing to pay for critical imports while skyrocketing rates on the black market for foreign currency have triggered a rise in prices of most commodities. Mnangagwa's tour also came as most parts of the country are experiencing fuel shortages, although Energy minister Joram Gumbo dismissed the shortages as artificial. The visit has generated a lot of speculation, with some claiming Mnangagwa wanted to appreciate the gravity of the cash shortages and understand how the bank operates. RBZ governor John Mangudya yesterday confirmed the visit by the Head of State, but described it as a "routine familiarisation tour". According to sources, Mnangagwa toured the RBZ headquarters twice on Tuesday — shortly before he officially opened the 9th Parliament of Zimbabwe and later in the evening. "He was at the RBZ for about 30 minutes from 8:30am before he left for the official opening of Parliament. It is still sketchy as to the purpose and nature of the visit, but it seemed to have been impromptu," a source said. "He was accompanied by a white guy said to be an IT [information technology] expert. Most staffers in the Treasury department were asked to leave and the President was assisted by two junior workers." 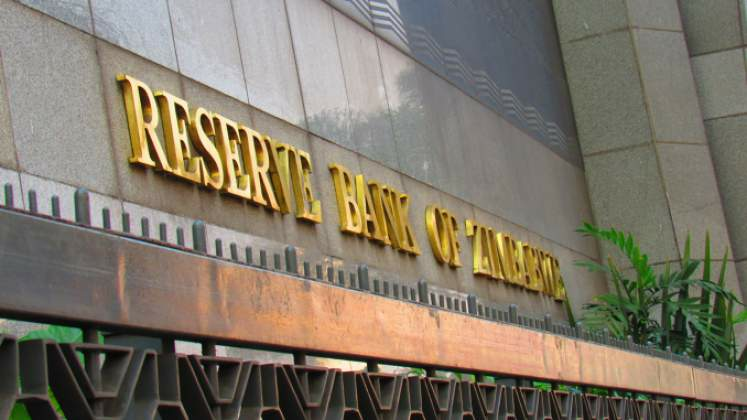 After attending a legislators' luncheon organised by Local Government minister July Moyo in the afternoon, Mnangagwa returned to the RBZ and spent nearly four hours holed up in the central bank building. "He was there until around 21:45pm; extraordinary moments require extra-ordinary measures," said a top government official who declined to be named. Mangudya yesterday said: "The President's visit to the bank was a familiarisation tour of the bank's operations." Another source said Mnangagwa had visited the bank's Treasury department as part of efforts to find a solution to the country's crippling financial crisis. "ED [Mnangagwa] is a hands-on President. Some things you would rather do them yourself, so he was there in person. Remember, he is leaving soon for the United Nations General Assembly, the Governor [John Mangudya] is going with him to the US, but they do not want to leave things as they are," said the source. NewsDay also gathered that during his first visit, Mnangagwa asked all staffers from the Treasury department to vacate the building, "save for two junior staffers who assisted him". As regards the fuel situation, Mangudya said the situation was under control. "That is not true. The bank continues to provide forex and letters of credit for the procurement of fuel," he said. It was not clear if Finance minister Mthuli Ncube attended the meetings.